Welcome to part deux of my mini Frozen series! If you missed my Elsa inspired look, click here to check it out. This look was inspired by the main protagonist of the film, Anna. She's spunky, clumsy, fearless and a little awkward, but it takes her character to a new level compared to older Disney princesses. Her character in the film is loosely based on Greda from "The Snow Queen" , a fairy tale written by Hans Christian Andersen. 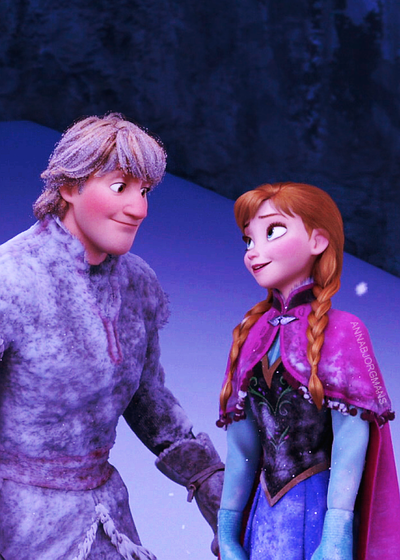 I took most of my inspiration from Anna's outfit that she got from Oaken's Trading Post (and Sauna!) which is a traditional Norwegian clothing called "Bunad". Her outfit is also adorned with the crocus flower, a symbol of rebirth and spring. In colder regions, it bursts forth while snow is still on the ground. The flower is the official crest of Arendelle and it appears in Frozen on everything from banners to capes, uniforms, wallpaper, and jewelry. 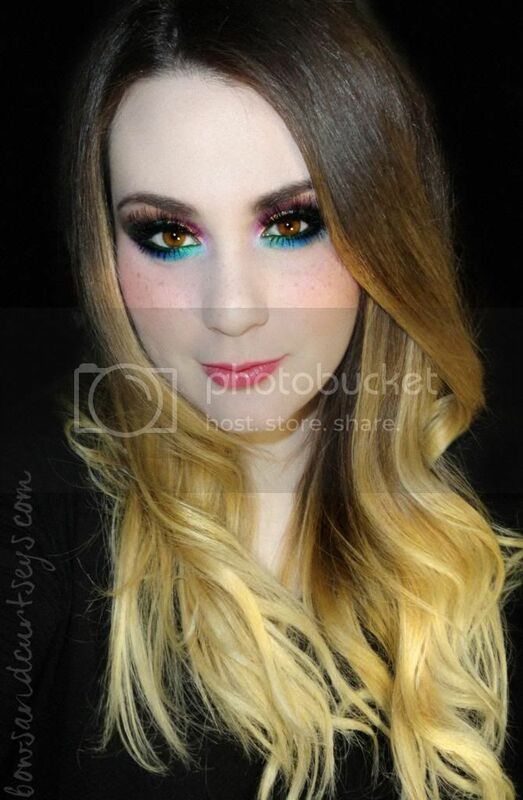 I wanted this look to be bold, bright, colorful and fun, much like Anna herself. I added warmth to my crease to represent her red hair, and I added freckles to my face as well. Here are some stills and gifs from the film to admire and compare! "Anna is more daring than graceful and, at times, can act before she thinks. But she's also the most optimistic and caring person you'll ever meet. She longs to reconnect with her sister, Elsa, as they were close during their childhood. When Elsa accidentally unleashes a magical secret that locks the kingdom of Arendelle in an eternal winter, Anna embarks on a dangerous adventure to make things right. Armed with only her fearlessness, a never-give-up attitude and her faith in others, Anna is determined to save both her kingdom and her family." She is free-spirited, fearless, warm, kind, playful, optimistic, awkward, clumsy, talkative, quirky, feisty, adventurous, loving, intelligent and selfless. I hope you guys enjoyed this mini-series as much as I enjoyed creating them! 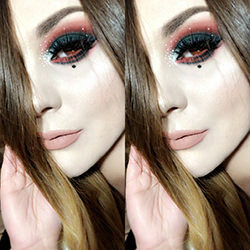 I love doing inspired looks and taking inspiration from things that I love. I should do it more often! Anyway, here is one of my favorite Anna songs from the film. 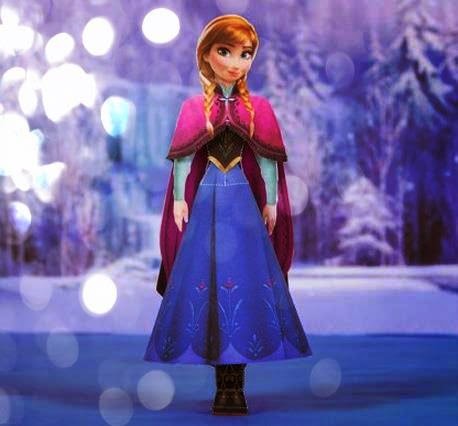 Anna is voiced by the gorgeous and talented Kristen Bell, and yes, that is really her singing! l love it, so vibrant! dollipop is the best fuchsia ever! great idea! very nicely and precisely! love it! wow, fantastic idea. lvoe it! So colorful!! I love it. I also didn't know kristen bell could sing! I haven't watched Frozen but now I really want to because this make-up look of yours is really amazing!! Lovely!!! I super love the color combos. Its festive and looks enchanting indeed! This is so pretty! Great use of color and placement. I love the glittery touch!